Fun, colorful, Sprinkle Cookies! Soft, buttery, chewy cookies encased in a colorful sprinkle shell! Oh, and did I mention that there’s no chilling necessary!? It also happens to be Zach’s birthday today and while I’d love to say I made these sprinkle cookies to celebrate, unfortunately that’s not the case. The man hates sprinkles. I’m not even kidding here, he hates them. He loathes the texture (!?! ), and he especially hates the way they get all over the house every time I make anything that uses them. For his birthday he asked that I make him my chocolate cake with chocolate cream cheese frosting, and he was adamant that not so much as a single sprinkle should adorn his cake. I guess at 29 he’s really falling into his grumpy old guy stride. Anyway, rather than being a festive birthday share, it’s kind of ironic I’m sharing these sprinkle cookies on the birthday of the biggest sprinkle-hater in my life, but here we are. And I have no apologies because these sprinkle cookies are amazing. Soft and chewy on the inside with a candy-like sprinkle coating on the outside… he doesn’t know what he’s missing. 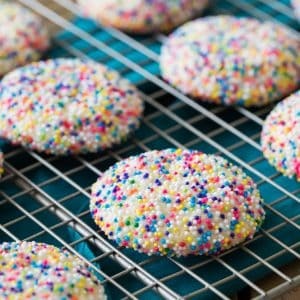 The base for these sprinkle cookies is a buttery vanilla cookie. I actually based it largely off of my Snickerdoodles recipe, and you’ll notice that this cookie recipe uses cream of tartar. I wanted a cookie that was soft and chewy, but not overly sweet on its own. We’re adding a lot of sugary sprinkles to the outside, so a cookie with a subtle tang (thank you, cream of tartar) was the best choice to counter the sweetness. 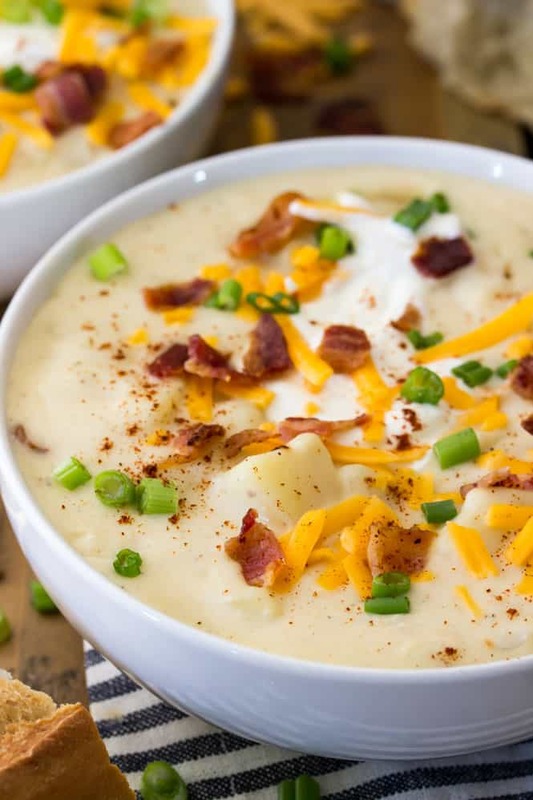 AND, there’s absolutely no chilling required with this recipe. I have so many cookie recipes that require chilling, it’s nice to make cookies without needing to use the fridge for once! 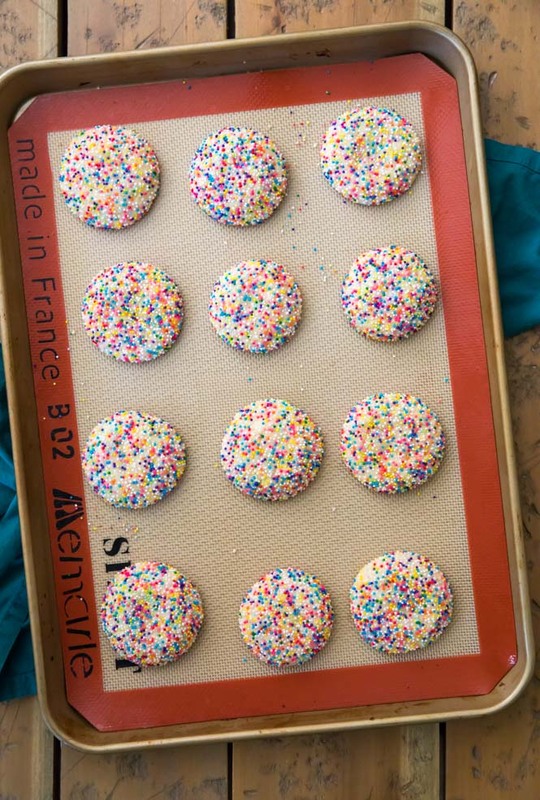 Roll your sprinkle cookie dough through the sprinkles immediately after rolling. Immediately after rolling the surface of your cookie dough will be slightly warmed from your hands and sticky enough to pick up all the sprinkles that you roll it through. If you wait and roll out all of your dough and then go back to roll it, the surface will have lost its stickiness and won’t pick up as many sprinkles. Jimmies/traditional sprinkles will work instead of nonpareils. 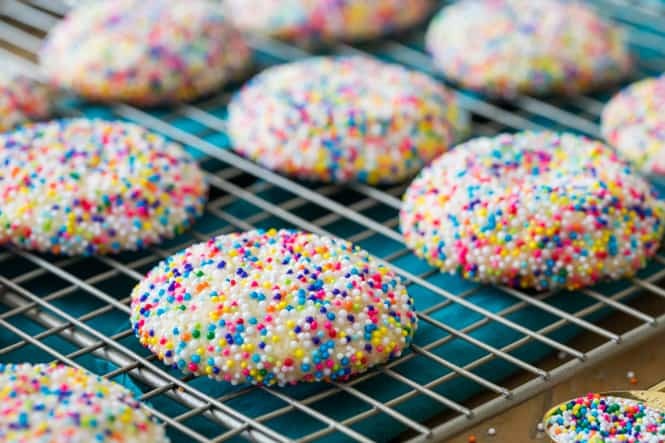 In my opinion I prefer the texture and snappy crunch of the nonpareils and I prefer the way the nonpareils completely coat the cookies, leaving much less cookie showing through than traditional sprinkles do. The centers of your sprinkle cookies should be ever so slightly underdone when they finish baking. Let them finish cooling completely on the cookie sheet before enjoying. They’ll finish cooking here, too, and will be nice and soft (or at least the interiors will be). Fun, colorful, SPRINKLE COOKIES! No chilling required! Buttery chewy cookies encased in a colorful sprinkle shell! Be sure to check out the how-to VIDEO at the bottom of the post! Preheat oven to 350F (175C) and line several baking sheets with parchment paper. Set aside. Add egg and egg yolk and vanilla extract. Beat until thoroughly combined. In a separate, medium-sized bowl, whisk together flour, cream of tartar, cornstarch, baking soda, and salt until completely combined. 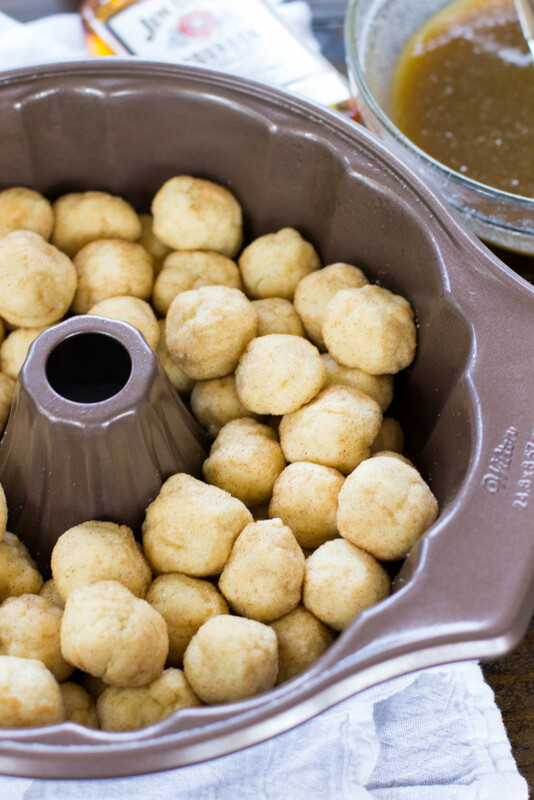 Scoop dough into Tablespoon-sized balls and roll between your palms until smooth and round. 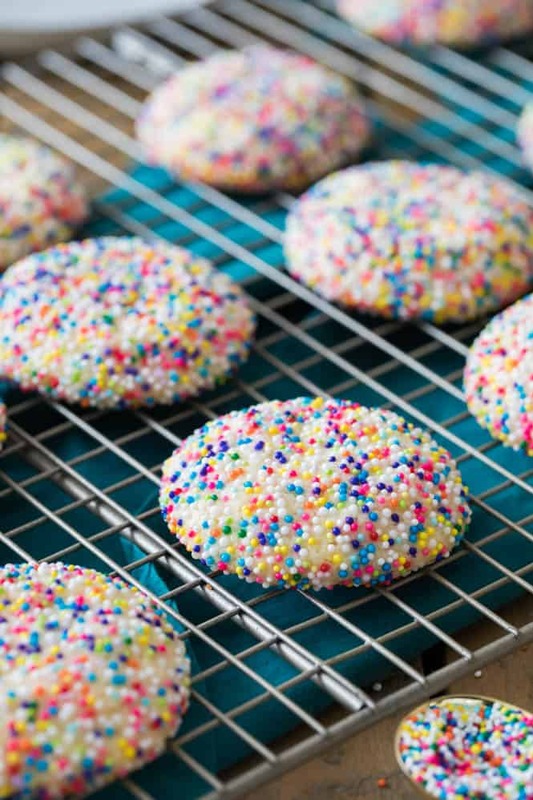 Immediately roll through nonpareils until cookie dough ball is completely coated with sprinkles. Place on prepared baking sheet, spacing cookies at least 1 ½” apart. Transfer to 350F (175C) preheated oven and bake for 9-10 minutes. Allow to cool completely on baking sheet before serving.